Master's degree in International Cooperation and Project Management from Instituto Universitario de Investigación Ortega y Gasset (IUIOG, Madrid) 3 languages: Spanish (mother tongue), English (fluent), French (moderate) Alexandra is a professional in capacity building and human rights. She has a variety of experiences in strategic and operational planning, monitoring and evaluation; international cooperation, grant proposal, program management and non-profit management. She has supported groups and organizations in developing their strategies, initiatives, campaigns and projects, towards effects and impacts. She possesses is killed in research and practical application for social projects, and has an in-depth experience in methodologies such as the Logical Framework Approach and Theory of Change. She has managed projects and conducted relations with US Private Foundations and EU-Mexico cooperation. 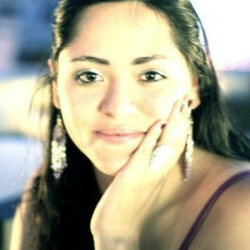 Alexandra is also passionate about storytelling, effective communication, civic participation and learning processes.